Lochs - ScotlandFramed.co.uk - Scenic photography of Scotland. Scottish Lochs, some well known and some not so well known all equally dramatic in their own unique way. They illustrate the colourful history of Scotland from the majestic Loch Maree once a Viking stronghold and where Viking graves can still be viewed on Isla Maree to the tragic Fairy Lochs where 15 American servicemen tragically lost their lives when their U.S.A.A.F. Liberator crashed whilst returning to America at the end of the Second World War. 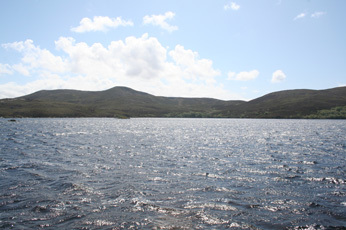 More photographs featuring lochs can be found throughout the site. In the "Panoramic" gallery you will find Loch Maree, Balthayock and Loch Leven amongst others. Sea lochs feature in some "Seascapes" whilst lakes from Canada are to be found in "My Travels" all I assure you are worth a look.